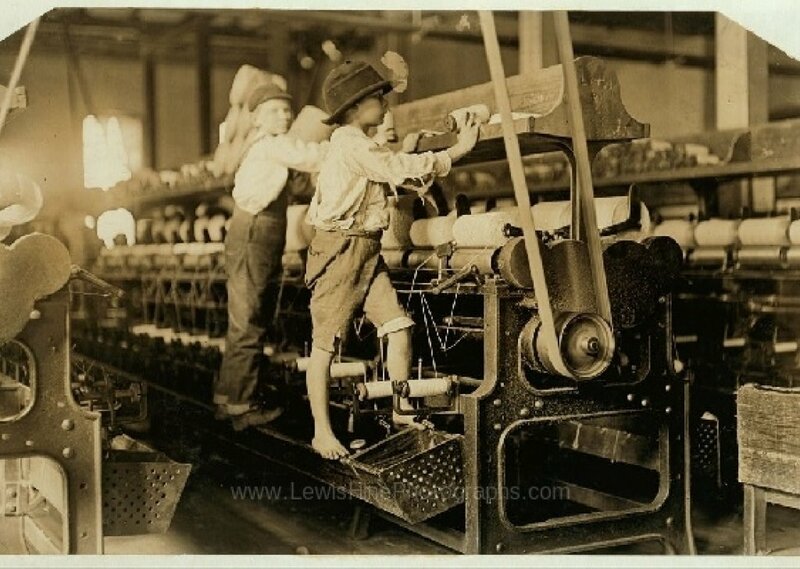 Imagine you're not even 16 and you're already hard at work in the spinning factory. The boss says not to drop anything on the floor: the cleaner it is, the more that it's worth. When a thread breaks, you're so small you need to climb up on the spinning frame to mend it and put back the empty bobbins. Don't waste anything, because it's all worth something. Do a good week's work and you'll get a good week's pay. And if you try hard enough, you may be the best hand at what you do and if you are, you'll get the best pay. Comments for "Children in a Sewing Factory"
License details for "Children in a Sewing Factory"